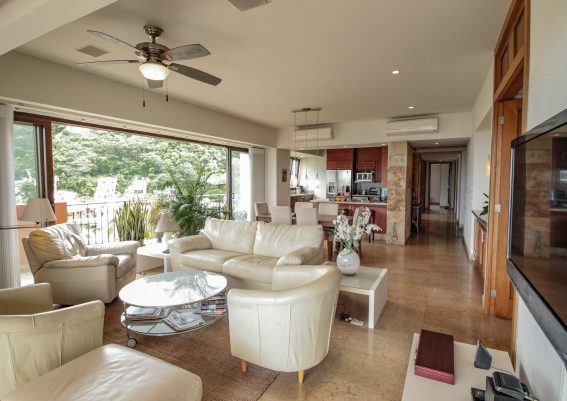 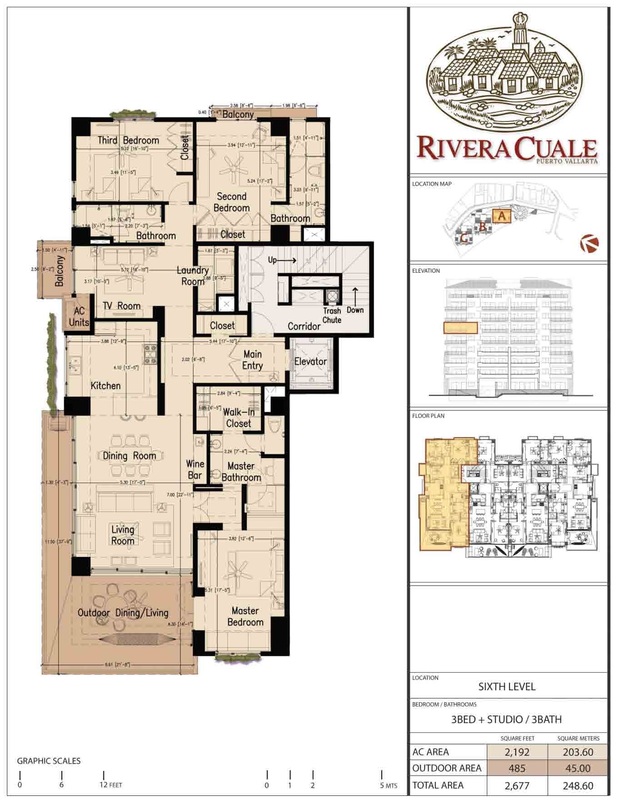 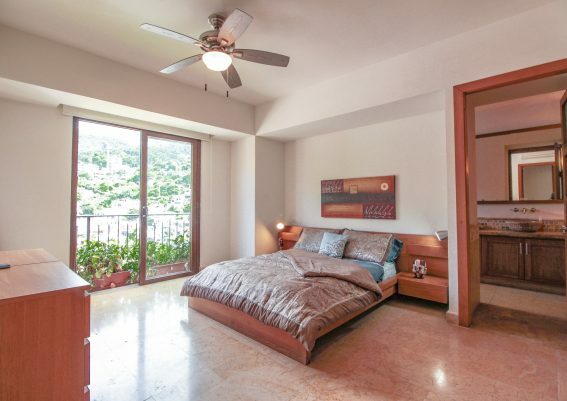 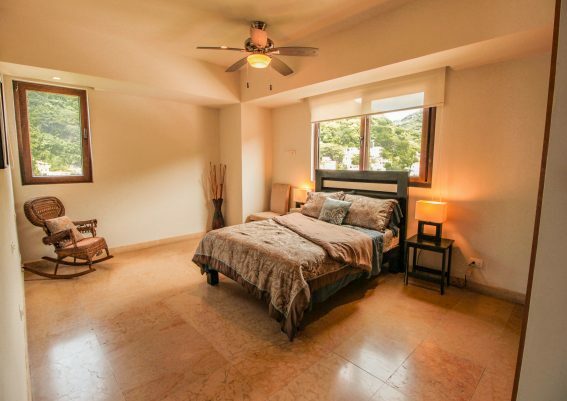 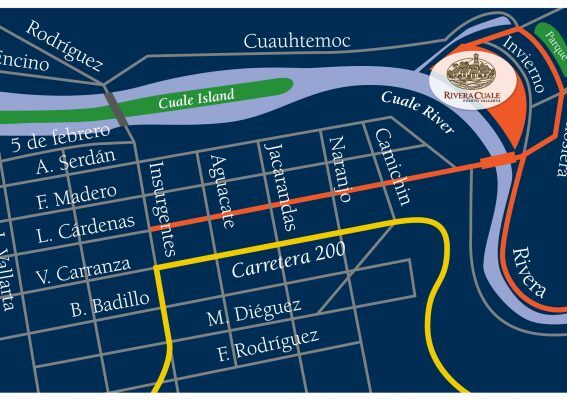 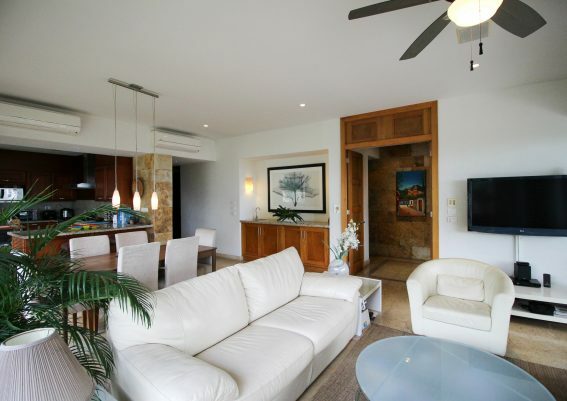 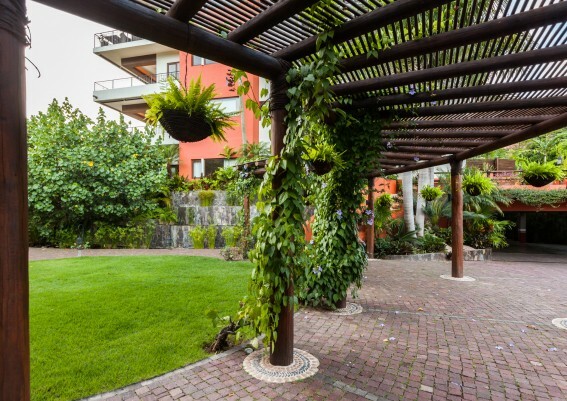 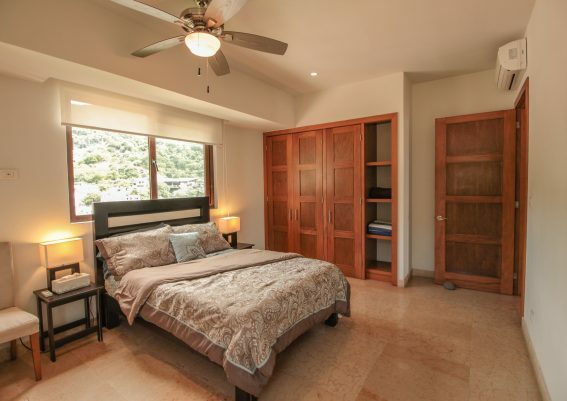 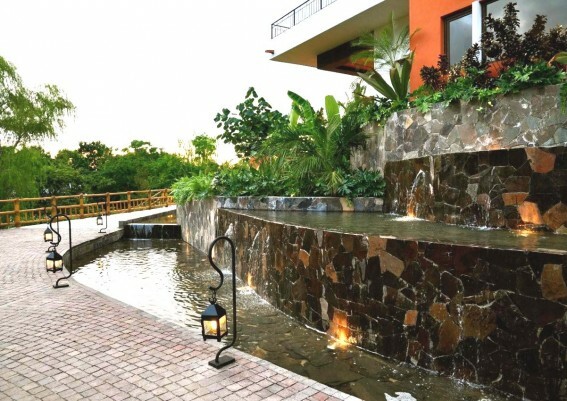 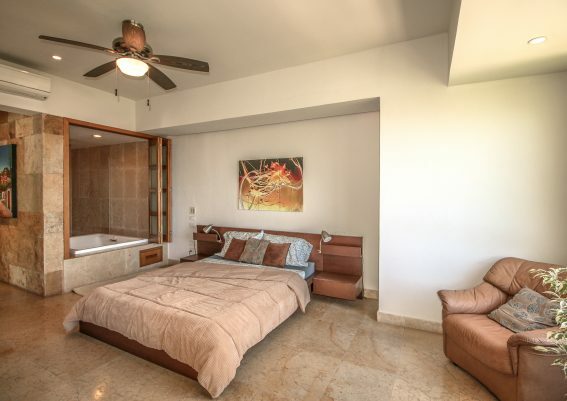 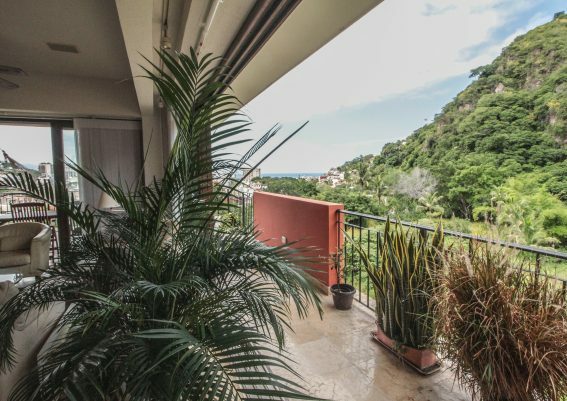 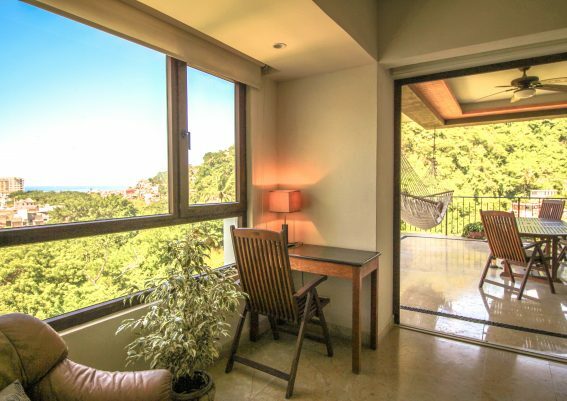 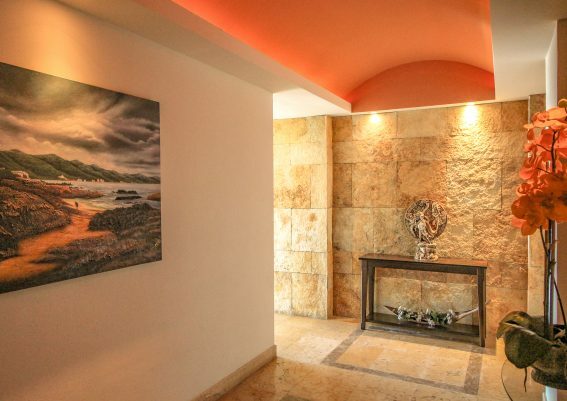 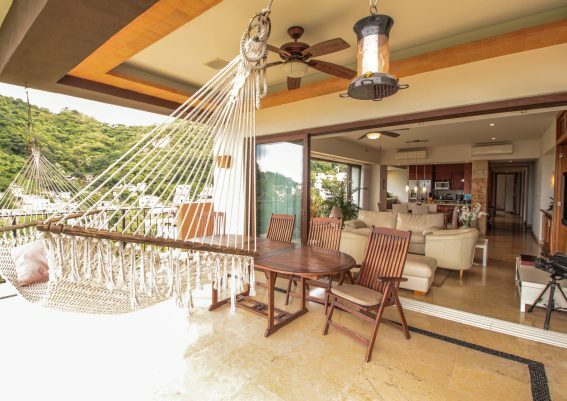 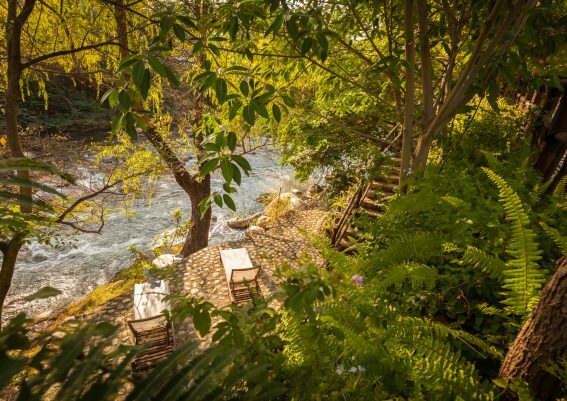 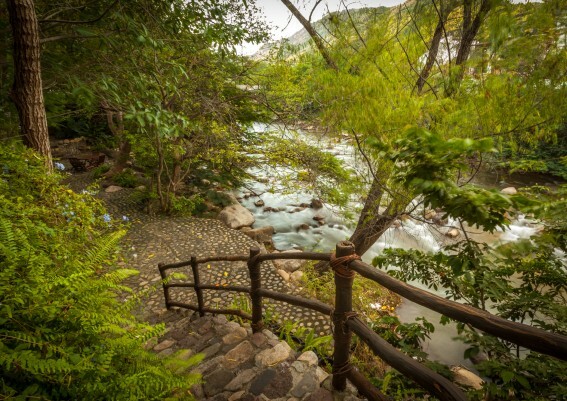 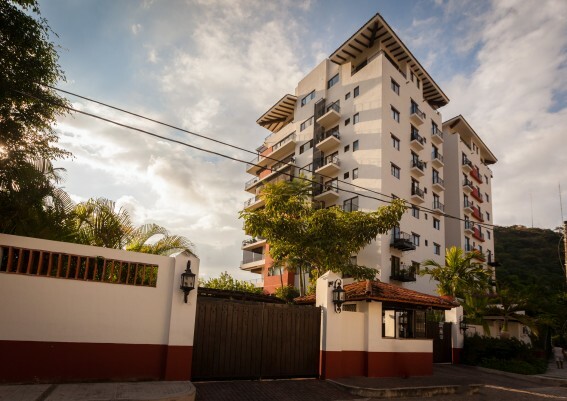 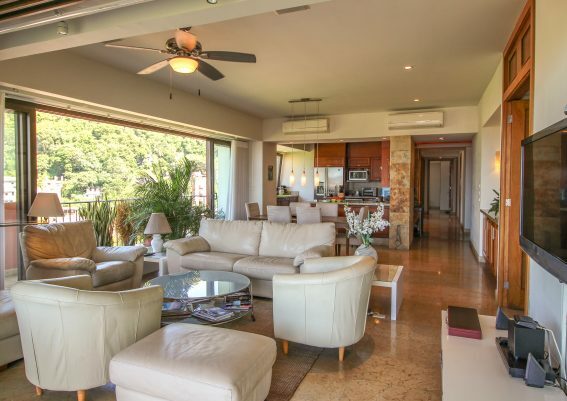 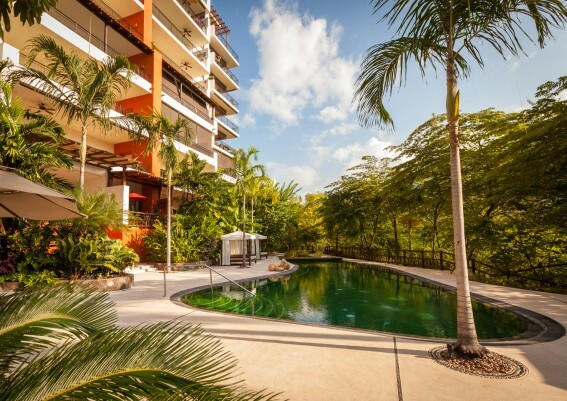 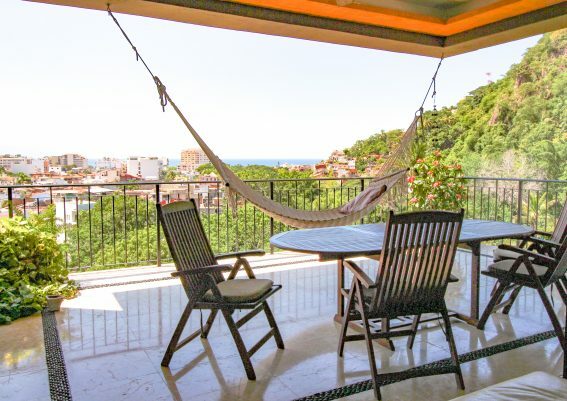 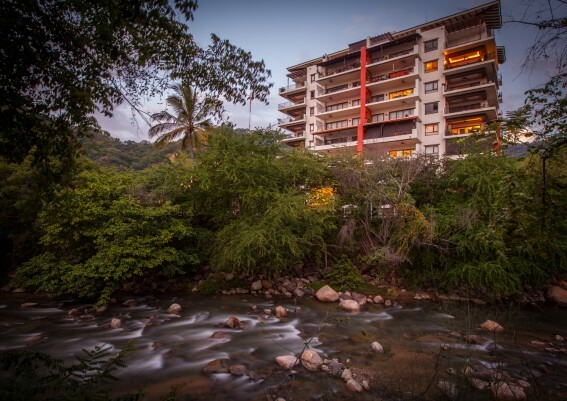 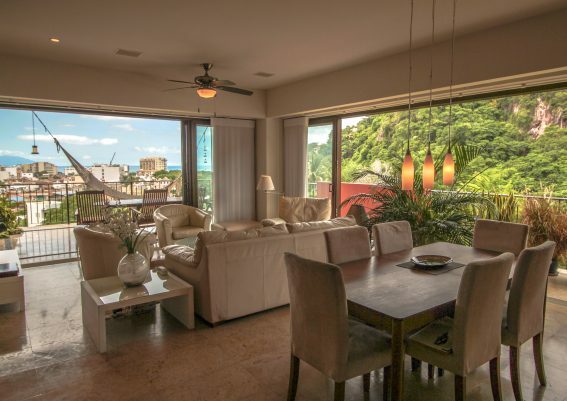 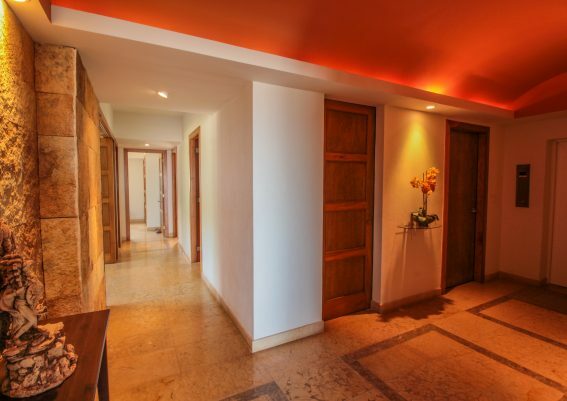 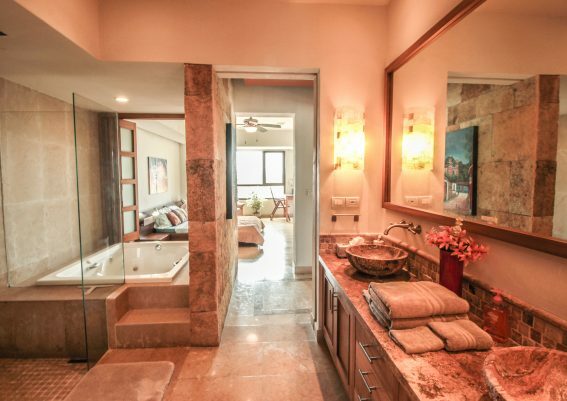 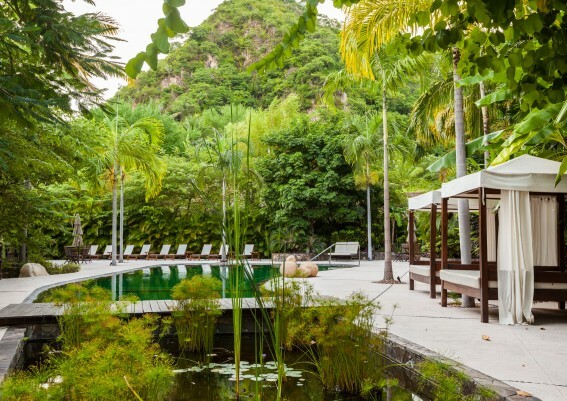 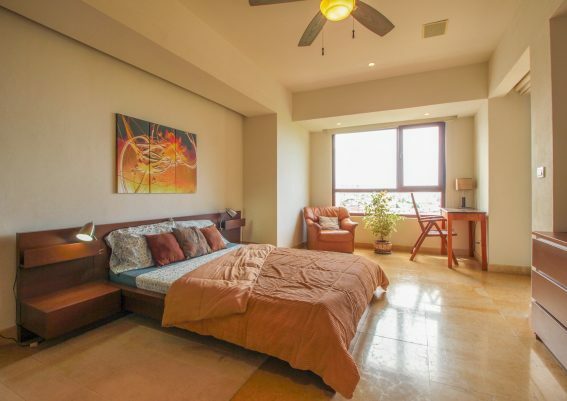 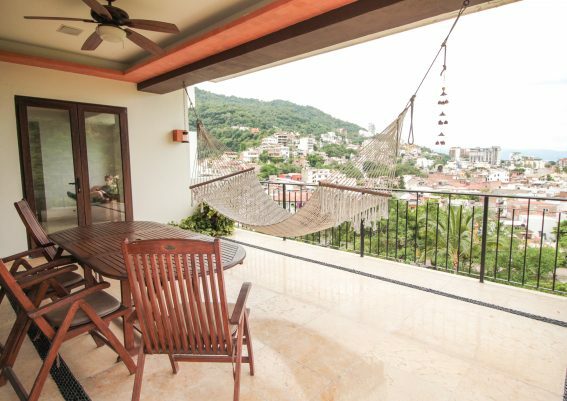 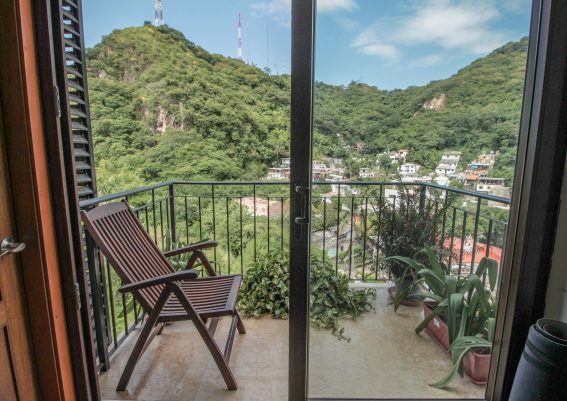 This 3-bedroom, 3- bath + den/studio Architect customized condo overlooking the Cuale River and adjacent to a mountain preserve while enjoying a full view of Old Town and Banderas Bay, is perfect for those demanding privacy, luxury, and tranquility. 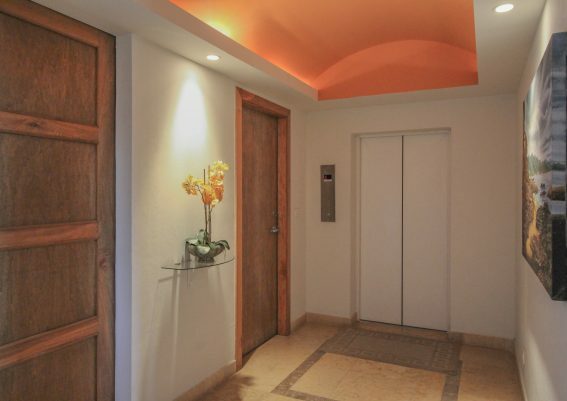 The elevator access from your dedicated indoor parking space whisks you directly to your private entry vestibule with it’s vaulted ceiling and custom lighting for your personal art pieces. 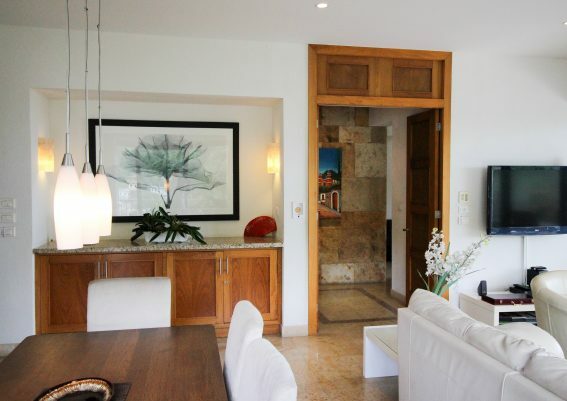 Enjoy gourmet dining? 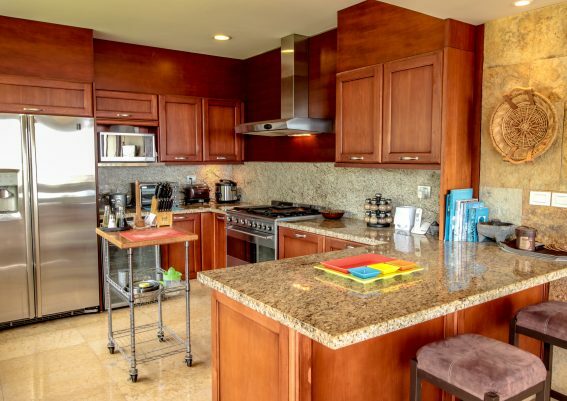 This fully outfitted large kitchen with granite countertops, European rotisserie oven, and wine refrigerator, has all the equipment you need to entertain. 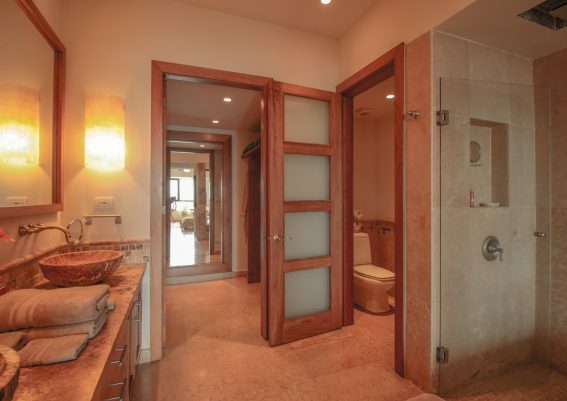 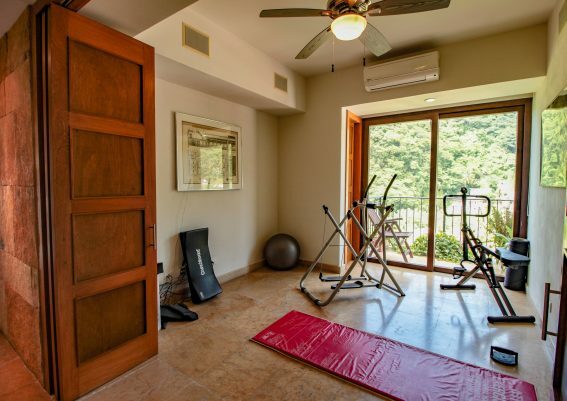 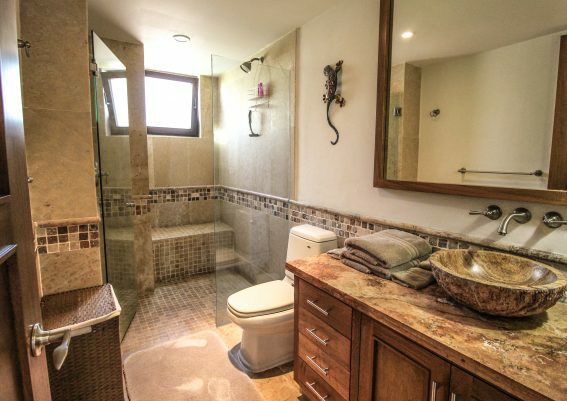 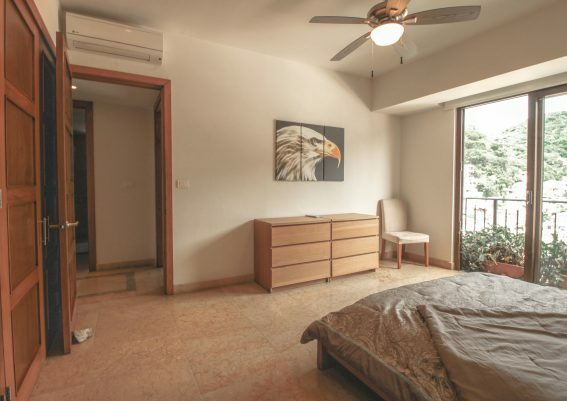 There is a private space with it’s own balcony suitable for a very personal private office, or maybe your own fitness center, since it has an adjacent shower and powder room!